Most online valuations just aren't accurate because every home is unique, even when they're next-door to each other. One of our experts can visit and value your home properly within 48 hours, so you'll have a valuation you can rely on. We are an independently owned estate agency franchise serving the Reading area since 1999. The franchise Group extends to nearly 400 offices operating under 6 established brand names nationwide. Property is our passion and Parkers have been selling and renting homes in Reading and beyond for over 60 years. With coverage across Berkshire, Oxfordshire, Hampshire, Wiltshire and Gloucestershire we can offer you the very best of services whether you are looking to buy, sell or rent. Our main areas of business are residential sales and lettings, property management, financial services and land & new homes. If you're a landlord looking to let a property in Reading then our lettings department can help find you a tenant. We believe in being honest and upfront with our clients, ensuring that we communicate effectively throughout the whole process of buying or selling a property. Moving house should be an exciting and enjoyable experience and we want to ensure that your experience is pain free. Parkers have been managing my property for the last 3 years and they are very efficient and helpful. I have a particularly good relationship with my allocated manager Sophie who has been lovely and helpful. I had occasion to deal with Parkers Lettings in Market Place, Reading, recently and what a delightful experience it has turned out to be. I found all the staff welcoming, warm, caring, understanding, patient and thoughtful. I would like particularly to commend Kyle, Holly, Jessica and Rebecca. It was most refreshing dealing with them in today's generally nonchalant attitude by service providers and their staff. Congratulations and best wishes to all in Parkers. We've had Parkers as our estate agents for both a rented property and our first purchased home, and in both situations they are absolutely fantastic. As property managers we knew that they were always easy to reach when we had an issue, and always willing to help in any way they could, quick to arrange things, and always friendly. While we were buying our first home, they were helpful at every turn, acting as a point of contact we could use to keep momentum going on the sale and always pitching in on helpful tasks no matter how big or small. Of every housing company I've had contact with in the Reading area, Parkers are by far the best. 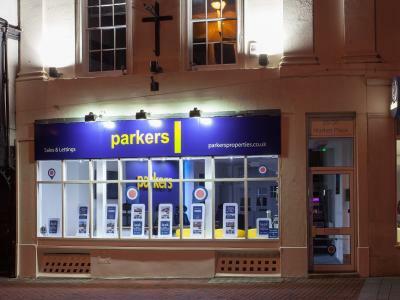 I have been using Parkers as a letting agent for approximately 18 years. They have a quick turn around on tenants. Good communication, and I appreciate that feedback is taken on board to help improve services. Parkers found me a new tenant for my rental within 2 weeks of it being advertised . They were very good in keeping me up to date with the progress of the tenancy , which was a refreshing change in comparison to another big Reading estate agency , who had dealt with this rental property previously. So far I have found their service professional and courteous. We purchased a property through Parkers. We found them extremely helpful. They are friendly, honest and not pushy at all. When I had any queries, they deal with them straight away and I always have answers quite quickly. I prefer to communicate by email, they check their email regularly and response promptly. The process is very thorough. Harry Hoop has been excellent organising things between us and the seller. If one day we sell our house, we will definitely consider them. Well done, Parkers! As a landlord, I have been very happy with Parkers. They have been fully managing the property just for few weeks but have always been very helpful and kept us posted. I would definitely recommend them to others as they are very professional and lovely bunch of people! When our long-standing tenant moved out recently, we agreed with Parkers' review which suggested some refurbishment would be a good idea. Parkers arranged for their contractor to give us a quote. He did an excellent job of painting and re-carpeting virtually the whole house. We are now waiting for new tenants. Parkers are keeping us informed of progress. Great experience with Parkers. Found us tenants very quickly and provided great service. Especially Rebecca Snell was superb! Not only have Parkers provided an excellent service managing my rental flat for the past few years but when I came to sell the flat it seemed obvious that I should continue with Parkers to handle this as well and I have not been disappointed. Their initial marketing advice to obtain a quick sale was spot on and we had an offer within 2 weeks. Not only that but throughout the sale process they handled all enquiries from the buyer with prompt accurate responses enabling the sale to be completed ahead of the anticipated completion date. Thanks again for an excellent professional service. Jessica and Holly helped us quickly find a new home that was child friendly. They were both very patient with us and helped answer all our questions. Problems that we found didn’t take too long to be fixed either. Having made the decision to move I looked for an estate agent to sell my current house. I chose Parker’s and was very glad I did. Parker’s have been great from start to finish and I really can’t fault the service the whole team has provided. I was particularly impressed with Somer who not only kept me up to date and responded promptly to all my queries but also went above and beyond to provide much needed support during the process. I've rented a flat through Parkers and they have been super helpful with the whole offer and transition to the new place. They're super nice and it doesn't feel like they only care about the landlord like most agencies. Would definitely recommend. I had a wonderful experience with Parkers. I am a young professional who was desperate in finding a place around Reading to commute to London. Rebecca Snell made me feel care free, she was super responsive to any silly questions I had, very helpful from the beginning until the end. It is very obvious that Rebecca is highly passionate about her role, and keen to support clients find a suitable place to live. Craig has been at Parkers Estate Agents in Reading for over 22 years and has successfully moved thousands of people in and out of the Reading area during that time. Craig's wealth of knowledge has meant customers keep coming back year after year to a person that they have dealt with time and again. 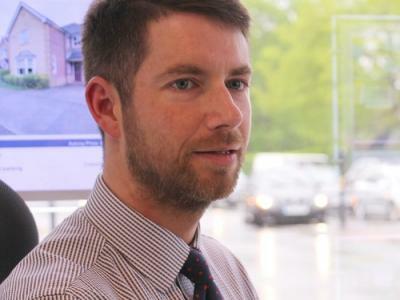 Born and bred in Reading and attending Theale Green Grammar School, Craig became an Estate Agent straight from school. Craig still lives in Reading with his wife and their five children. 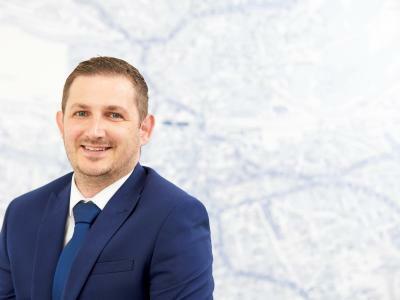 Craig has built up a wealth of contacts and his regular appearances at local events, in the local press and meeting clients at properties means he is a recognisable and well-respected agent in the region. By setting his company apart from the rest, Parkers clients know that this is an agent with a difference. Damien joined Parkers Estate Agents in Reading over 18 years ago. Staring out as a trainee, he soon worked his way up the ladder by successfully selling and renting properties. Today, Damien is a Director of the sales team for Parkers Reading, Woodley and Earley and is based in the Woodley office. Damien's knowledge has assisted thousands of people move within Reading and the surrounding areas. One of his greatest skills is the trust he develops with his clients. This trust means many of his clients come back to him for assistance time and time again. An avid Reading FC supporter, Damien has lived in Reading all his life and continues to do so with his wife and two children. Mark grew up in Woodley attending The Bulmershe School. 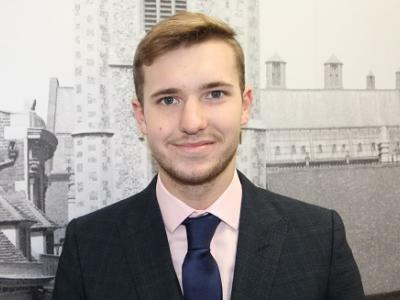 After completing his A-Levels, he soon joined Parkers in Woodley where he developed the skills required to become a successful and trusted estate agent within the community. 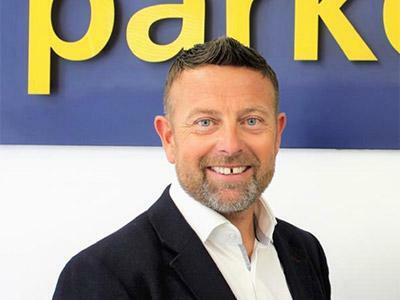 Mark moved to the flagship Reading office of Parkers in 2008 where he developed his expertise in lettings and was promoted to Lettings Director for Parkers Reading, Woodley and Earley. 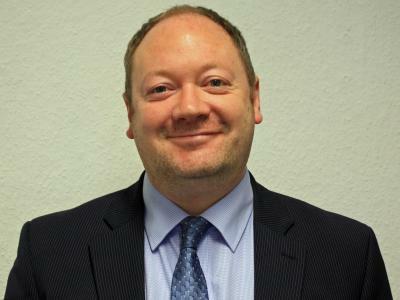 Mark's position makes him responsible for the management of the lettings team and the lettings portfolio. 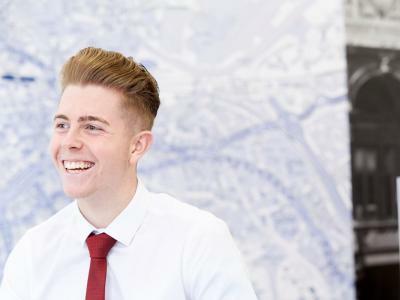 Ollie has been an estate agent for 4 years and has had a career in sales since leaving school. 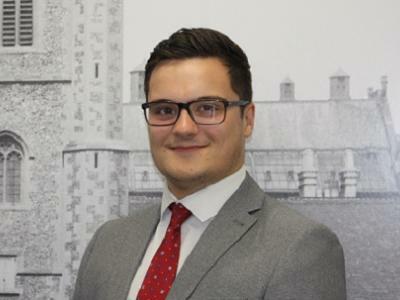 Building up a wealth of experience and knowledge about the area and property market, Ollie is well placed to offer guidance and advice to buyers and sellers. His day to day role involves managing our broad range of applicants looking for properties in the area and updating clients. In his spare time, he enjoys playing a range of sports and socialising with friends. Kate has been an estate agent in Reading for over 10 years for both the High Street and online agents, giving her a wealth of experience. 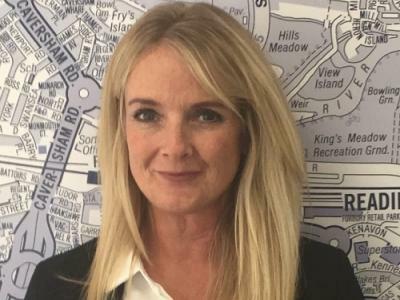 Originally from London, Kate lives in the Caversham area, she loves meeting people and valuing property, so she thoroughly enjoys her job as Valuations Manager. With a dedicated approach, Kate will ensure your property details are of excellent quality and do all she can to help you achieve a great price and have a friendly, positive experience selling with Parkers. James has 12 years experience in estate agency. Having lived and worked in Reading all his life James knowledge of the local area is first rate. 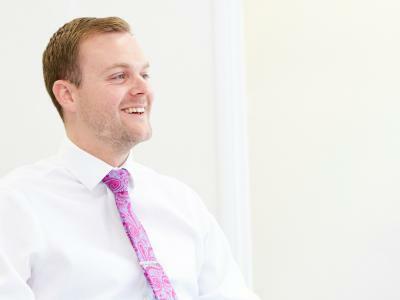 His enthusiasm and energy is fantastic and once met is never forgotten of which helps James succeed in his role at Parkers in selling and appraising property. Daniel is currently working in Parkers Reading where he is learning the values and skills required to become a successful and trusted local estate agent. 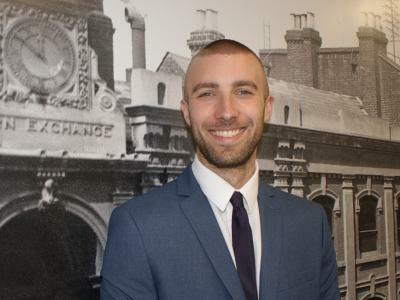 Daniel's day-to-day roles involves dealing with sales and lettings enquirers and conducting viewings. Will went to school at Little Heath in Tilehurst, completed his A Levels there and then went on to do a BTEC Diploma at Reading College. From there he worked in retail, moving up to sales manager towards the end of his time there. Will then made the move to Parkers to give himself a challenge, take himself out of his comfort zone and make a career. Will deals with the day to day enquires and will often be showing property seekers around our vast selection of homes in the area and providing clients with information on the local areas. He has a passion of keeping fit by going to the gym and playing golf. In his spare time he enjoys socialising with friends and watching sports. 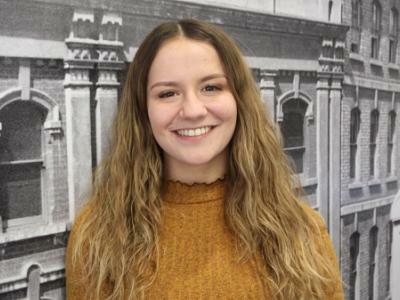 Holly's career at Parkers began after finishing sixth form at Maiden Erlegh School and is now a key member of the lettings team. She previously worked in the leisure industry lifeguarding as a part-time job while studying her A-levels. Hollys day-day role involves dealing with inbound letting enquires, booking and conducting viewings around the central Reading area. Marc has lived in Reading his whole life and attended Pangbourne College for his education. He worked for two years within the licenced retail industry which allowed him to build excellent relationships with customers and improve his customer service skills. Marc enjoys playing football and has had a long 13-year spell playing for Reading FC academy at a high level. His role within Parkers involves him dealing with day-day enquiries, conducting viewings and making sure that the broad range of applicants are kept up to date when new properties come to the market. 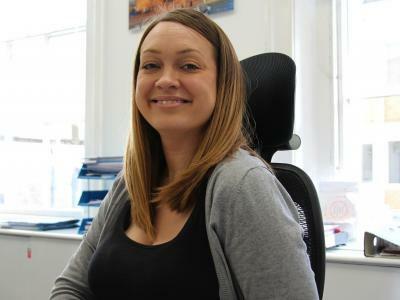 Rebecca has been with Parkers for the last 3 years and began her career as a lettings negotiator. Following success in this role she has moved into property management and now is responsible in ensuring that everything necessary to facilitate a smooth move in for tenants is put in place, and to ensure that landlords are fully updated during this process. Deborah deals with the management of deposit returns. This includes processing notices, booking check-outs, processing check-out reports and arranging any necessary works required after a tenant vacates. Sophie has worked at Parkers since 2008 and is a key member of the property management team. 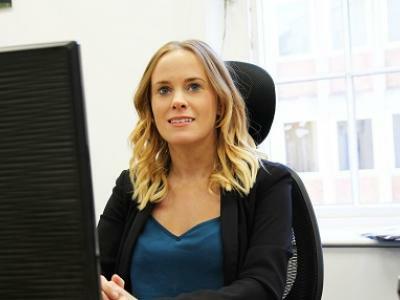 Sophie offers a wealth of knowledge and expertise in this field and will ensure issues are dealt with as quickly and efficiently as possible. Jay started her career with Parkers over 6 years ago as a Sales Negotiator. She is now currently part of the property management team working closely with landlords and tenants. 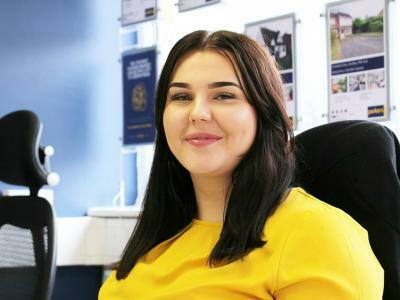 Having worked for Parkers for over 8 years, Cerice started her career as a lettings and Sales Negotiator and has since moved into property management. Cerice looks after tenancy renewals and the handling of tenancy accounts. Andrew is Parkers' financial advisor and has worked as a financial advisor since 1996. Andrew's knowledge and experience is second to none. He attended Marlborough School and shortly after went on to achieve his qualification in mortgage advice and practice and has continued his work in Mortgage advice since. 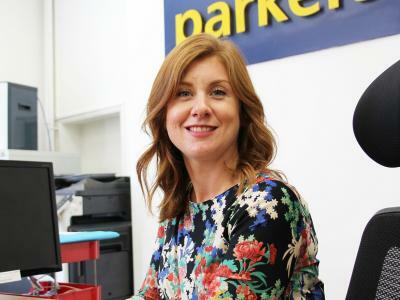 Katie joined parkers in 2018 after previously working as a property manager in the Reading area for four years. Her day to day role involves dealing with property maintenance, inspections and deposit returns. Copyright © 2019 Saddlers Property Services Ltd t/a Parkers Estate Agents.